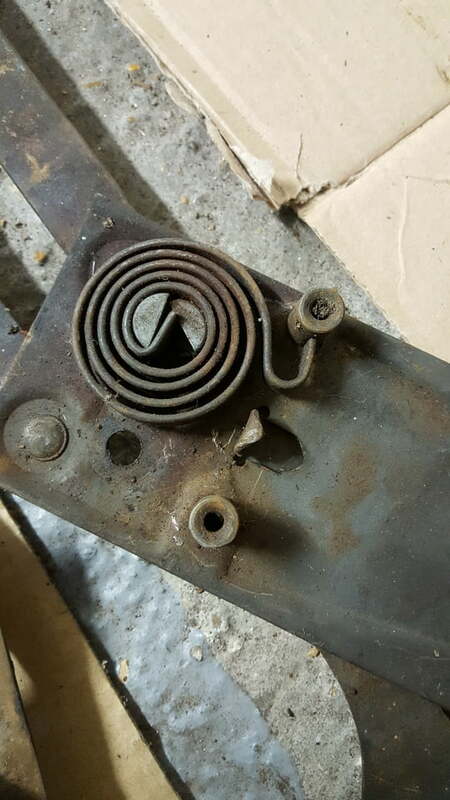 The window regulator retainer that holds the coiled spring does break as per your picture. No need to buy new regulators. It can be easily fixed. Wind the regulator to release most of the tension on the coiled spring. Lever the coiled spring away from the regulator. ( A little caution required when doing this). The rear of the retainer should be carefully drilled to remove most of the material retaining it. Use a drift to finally remove the remains of the retainer. Replacement retainers are available from Sierra Madre ( two different lengths) but I made my own from mild steel. A replacement retainer is not held in position like the original: it is necessary to have a small internal thread in the rear of the retainer. Using a washer and threaded screw into the rear of the retainer to hold it in it position. Make sure the slot is in the same orientation as the original otherwise you will have a problem replacing the coil spring. I used long nose pliers to pull the outer end of the spring into position on re assembly. Last edited by Saskia; 02-11-2019 at 10:29 AM. No it is not. Follow the link to Sierra Madre provided above to see the replacement parts. The two different sizes are for early and late systems. Remove your old part and measure its length. All right, thanks for the helpful replies, Saskia and Mathieu. Looks like I need a parallel 26mm. What's the difference between heroin addiction & P-Car projects? Heroin use has it's limits.